The growth of online and mobile research undertaken by car buyers before making a purchase has proven to be a double-edged sword for car dealers – as long as they know how best to take advantage of the opportunities. On the one hand, it’s led to a steep decline in foot traffic, which dealer salespeople used to rely on to close deals, but on the other hand, it’s given dealers dozens of new ways to generate their own organic leads, and one of the leading strategies is by using live dealer chat. The advantage of working with a software company that’s designed a live chat specifically for car dealers, like Gubagoo, is that they make sure that online liaisons responding to your customers respond with product information and scripting that’s made around your business. They have easy access to your inventory so that they can push product images through the window, and they will incorporate your custom campaigns. 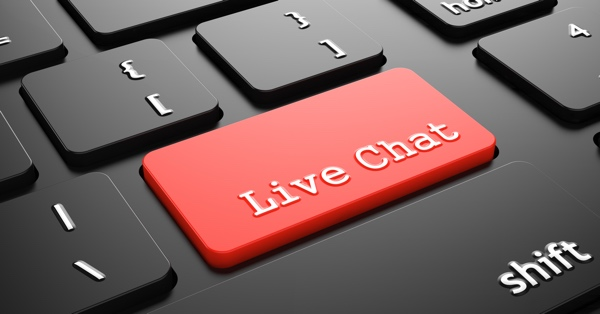 Whereas older forms of live chat were largely passive customer support systems, ready and waiting for someone to type a question in to the box, the best dealer live chat is designed to “read” visitors’ behavior and identify, based on their browsing patterns, whether or not they seem likely to make a purchase. If a visitor exhibits the kind of pattern typical of someone nearly ready to make a purchase, an online liaison will open the conversation by typing a message that appears on the user’s side. It’s a simple nudge that can open up a new customer engagement that doesn’t wait around for leads to come to it, meaning you can reach people who otherwise might not make the first move. The way your live chat and the connected publisher and display frame look should play a big part in your software purchasing decision, and one thing to look for is flat design. Skeuomorphism refers to a visual style that imitates the textures of real world objects, i.e., a calculator app with buttons that appear to be raised, in reference to real calculators. While these textures were once all the rage, dominating apps and the look of iPhones, recent years have seen the rise of cleaner flat design, such as on new Windows operating systems. Flat design, used in live chat company Gubagoo’s platform, relies on minimalism and simple shapes and colors, meaning it matches the look and feel of most car dealer sites, and it has no negative affect on your loading time (which can play an important role in your site’s search engine rank). In addition to handling queries made on your website, a better service will aim to reach out into as many different channels of communication as possible, including text messages, phone calls, and Facebook Messenger. As more companies start using Facebook advertising, it makes sense for your audience to be able to reach your brand through social media apps like Facebook Messenger. Getting your business talking to leads through text message is also known to be far more effective than emails; text messages are typically opened in only seconds and they have a 98% read rate. Find a company that can be your backup when you’re overwhelmed with phone calls, talk to leads and prospects over new media, and get your brand out there.